Have You Been Injured In A Rideshare Accident In South Florida? More and more people are using rideshare services like Uber and Lyft for its convenience. However, most have no idea what steps to take if they were involved in a rideshare accident. Most rideshare companies hold liability insurance that will protect you if you were involved in a collision. As with any accident, you should seek immediate medical help, even if no apparent injuries are visible. Contact law enforcement to report the accident and collect contact information of all drivers involved. 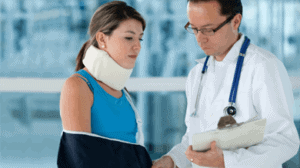 Lastly contact an experienced personal injury attorney for advice and how to proceed. If you have been injured in a rideshare collision and have suffered a loss as a result of another’s negligent or wrongful conduct in Florida, you need a knowledgeable and experienced legal team on your side. For more than three decades, the Accident and Injury Lawyers of Fenstersheib Law Group, P.A., have been helping people injured in car accidents. We stand by our long history of compassion, integrity, and tenacity in bringing justice for the injured. Call us today, toll-free, at 1-800-TellRobert, for a free initial consultation to determine your legal rights. Our phones are answered 24 hours a day, 7 days per week. Home > Accidents > Have You Been Injured In A Rideshare Accident In South Florida?